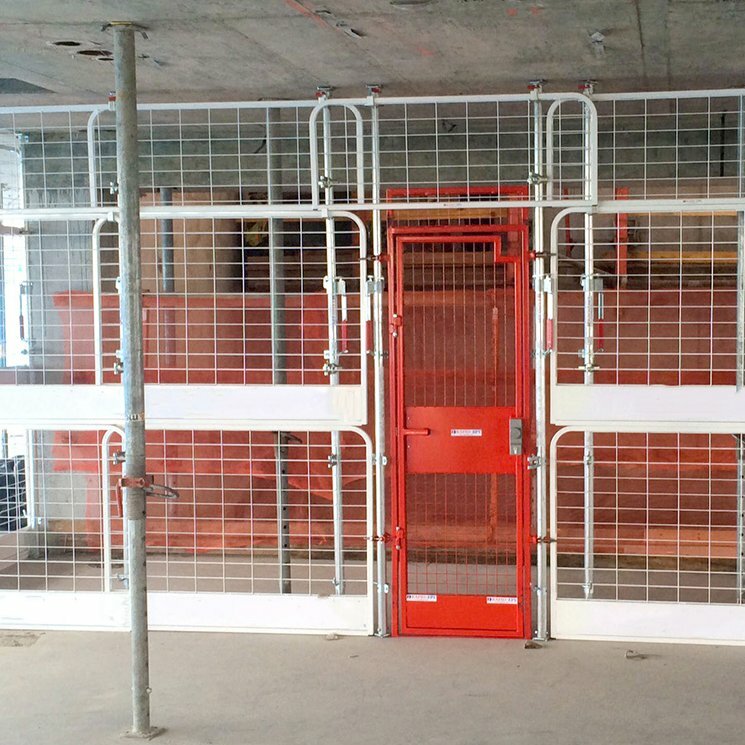 Generation provides a cost effective and versatile edge protection system that can protect multiple core openings using just one Lift Shaft Gate. Our Lift Shaft Gate system uses the revolutionary Rapid Post which means there is no need to penetrate into the working surface. The Lift Shaft gate system is lockable by key and located on the inside of the gate is an exit/quick release bar. The Generation Lift Shaft Gate system is robust and quickly installed not compromising on safety or quality.